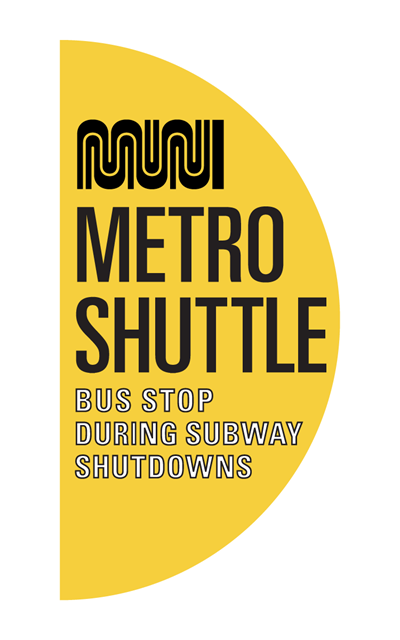 On evenings this weekend there will be inbound and outbound bus substitutions for the K, L and M routes from the Embarcadero to each line’s terminal. Bus substitutions will replace the full route on Friday, March 30 from 9:00 p.m. to 5:00 a.m. and Saturday, March 31 from 11:00 p.m. to 5:00 a.m. Train service will begin as normal each morning. This bus substitution will allow the Twin Peaks Tunnel to close early and is vital to ensure that the century-old tunnel is modernized to improve transit reliability and perform safety upgrades. Neighbors can also expect to see track work near 15th and West Portal avenues. Forest Hill and West Portal stations will close at 9:00 p.m. on Friday night and at 11:00 p.m. Saturday night. Stations will reopen Saturday and Sunday mornings as scheduled for regular train service. Buses will operate K, L and M routes between Embarcadero and each line's terminal destination. Board where you see a Half Moon sign. Buses will run every 20 minutes until OWL services starts. Castro Station will remain open to trains, but all outbound trains will turn around and head back inbound. Only T Third and S Shuttle trains will serve Church and Castro stations. OWL and Sunday service will not be affected by these closures. 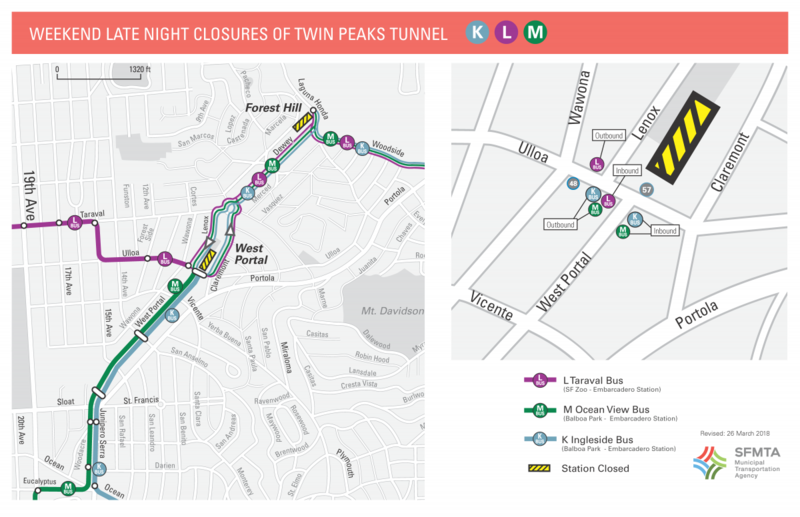 Weekend closures of the Twin Peaks Tunnel and bus substitutions will continue for most weekends through June in order to allow for important work to take place. Stations will continue to close early on Friday and Saturday nights to provide extra time to work inside the tunnel. A longer closure of up to 60 days is planned for summer 2018 to complete the full upgrade of the Twin Peaks Tunnel. These maps show where shuttles will stop at Forest Hill and West Portal stations. Click on the map for a larger version. For more information, visit the Twin Peaks Tunnel Improvement Project page.